Former speaker of Singapore's parliament, Halimah Yacob, arrives to submit her presidential nomination papers at the nomination centre in Singapore September 13, 2017. 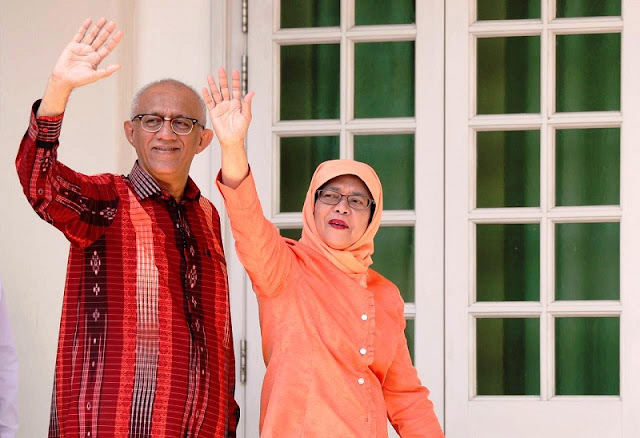 SINGAPORE - Halimah Yacob, a former speaker of parliament, was declared elected as Singapore’s first woman president on Wednesday, after the returning officer announced she was the sole candidate to qualify for the contest. Aiming to strengthen a sense of inclusivity in the multicultural city-state, Singapore had decreed the presidency, a largely ceremonial post, would be reserved for candidates from the minority Malay community this time. Halimah Yacob, a former speaker of parliament, was declared elected as Singapore’s first woman president on Wednesday, after the returning officer announced she was the sole candidate to qualify for the contest.